Check Rates & Availability at Econo Lodge Mobile! 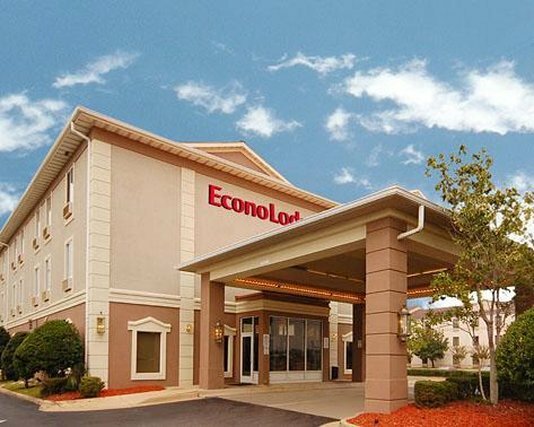 The Econo Lodge hotel is conveniently located off Interstate 65, providing easy access to many local landmarks and attractions. This Mobile hotel is close to Spring Hill College, USS ALABAMA Battleship Memorial Park, Gulf Coast Exploreum Science Center and Bellingrath Gardens and Home. The Arthur R. Outlaw Mobile Convention Center and Mobile Civic Center arena, theater and exposition hall are just minutes away. Hotel guests are provided many amenities, including free continental breakfast, free local calls and an indoor pool. Business travelers will welcome additional conveniences like free wireless high-speed Internet access and access to copy and fax services. Pool closed for renovation until December 31 2012.